Salvestrols are the wonder nutrients found in fruit and vegetables that hold potential as yet another safe, effective and natural cancer cure. In 1995, Professor Dan Burke accidentally discovered that cancer cells contained an enzyme that was not found in normal healthy cells. Later on in 1997, after conducting extensive research with Professor Gerry Potter, he discovered that a certain type of polyphenyl (plant nutrient) found in fruit and vegetables was able to bind with this cancer enzyme – and subsequently destroy the cancer cell. The researchers decided to call this group of phytonutrients salvestrols (salve means to save and strol is derived from resveratrol, the first salvestrol). Being the medicinal part of the plant, theses salvestrols taste bitter, which unfortunately means they have been bred out of existence in some strains of fruit (e.g. apples) by large-scale agro-corporate farming, which constantly tries to make everything sweeter to sell more product. Salvestrols belong to another subcategory called phytoalexins, which are substances produced by plants to protect themselves against bacteria, viruses, fungi, insects and ultraviolet light. The enzyme which marks cancer cells is called CYP1B1. This enzyme is a gene and protein which is present in all human cells, but which is only activated in cancer cells, not normal healthy cells. “Healthy tissue cells do contain the gene for CYP1B1, but under normal circumstances this gene does not appear to come to expression, or only scarcely does so. In-vitro research has shown that CYP1B1 can activate (pro)carcinogens. “However, CYP1B1 is unlikely to play an important role in the development of cancer, because the enzyme is not active in normal cells. Burke’s research group found the CYP1B1 protein in all the possible types of human tumour cell lines. Brilliant! Like many other proven natural cancer cures (e.g. laetrile, B17 or amygdalin from apricot kernels), salvestrols are a targeted and selective cancer killer, unlike chemotherapy (derived from mustard gas used in World War 1), which is an indiscriminate killer of all cells. The hallmark of cancer cells is that they don’t perform apoptosis or programmed cell death. In other words, they don’t listen to the body’s commands to stop growing. However, once you feed them salvestrols, then they will commit apoptosis. Salvestrols are polyphenols (a large generic group), found throughout many fruits (e.g. citrus, berries, grape), most vegetables (e.g. cruciferous), olives and herbs. However, only organically grown food contains salvestrols. The only fruit and vegetables that produce salvestrols are organic fruit and vegetables. Spraying food with toxic pesticides including fungicides? Great idea! Why? It’s because, as mentioned, the fruit and vegetables produce salvestrols as a defense mechanism to fend off fungal attacks. However, conventional fruit and vegetables are sprayed with a heavy dose of pesticides, including fungicides, which means they don’t need to develop the phytochemicals (plant chemicals) that organic fruit and vegetables would to fend off attacks. It’s already done for them. The fungicide essentially makes the plant lazy, removing the necessity for it to develop complex defense mechanisms because it’s unlikely to get attacked. Additionally, the fungicide neutralizes the effect of salvestrols. So even if conventional fruit and vegetables somehow survive being sprayed with fungicide poison and manage to grow salvestrols, they still won’t do any good as far as cancer prevention is concerned. They won’t interact with the CYP1B1 enzyme and kill the cancer cells because the fungicide will interfere with and prevent that process. What this means is that you, as an end user in this system, get what you choose and what you pay for. If you choose to eat sprayed fruit and vegetables, you’ll be getting produce without salvestrols and without the vital defense mechanisms which boost your health and protect you against cancer. 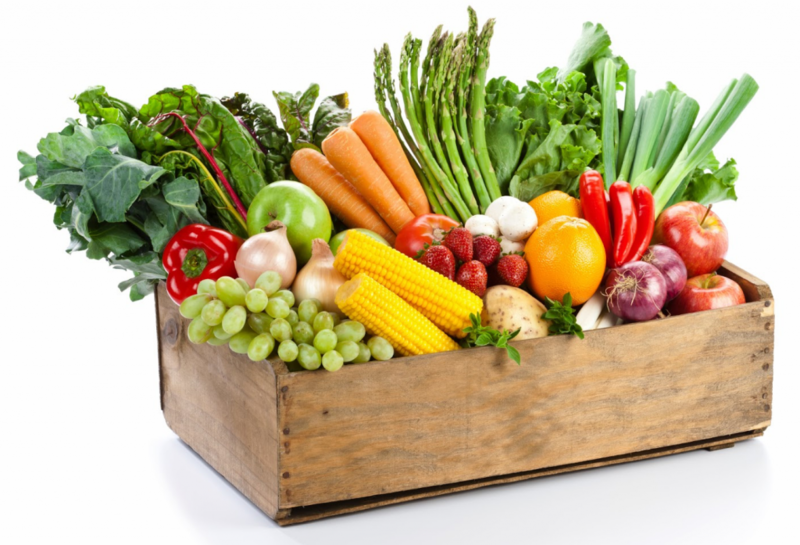 On the other hand if you choose to eat organic fruit and vegetables, you’ll be getting produce with salvestrols, which your body will assimilate and utilize to improve your health and either help you defeat cancer or help ensure you never develop it. This dovetails into an important point. Fungus is a natural part of living in this world. It is also a decomposer which attaches onto weak and dying organisms, be they plant or animal, and hastens their demise once their immunity is comprised. It may be the hidden cause of every disease and it may also be that cancer is a fungus. The latter theory has been proposed by Italian doctor Tullio Simoncini, who has been treating patients for decades with intravenous injections of sodium bicarbonate (NaHCO3 or baking soda). Other doctors have tried this approach successfully – some have pioneered approaches such as mixing the baking soda with maple syrup (which attracts the cancer cells) then administering it orally to patients. The highly alkaline NaHCo3 works by causing a rapid shift in the pH of the cancer cell, causing it to die. Just in case you think this is all an unfortunate coincidence, think again. The worldwide conspiracy cuts wider and deeper than most of us imagine. Those truly at the top of the pyramid know full well how the human body works, and realize the effect of synthetic chemicals and non-organic food on human health. This is more evidence of the scheme to make people sick and thus more controllable, which goes hand-in-hand with the depopulation agenda. The lesson that salvestrols and CYP1B1 have to teach us is clear: the more we separate ourselves from the natural world, the more we use and ingest synthetic chemicals, the more we eat artificial food (GMOs), the more we embrace the idea of “Better Living Through Chemistry” (former motto of DuPont, the chemical company and Illuminati bloodline family), the more we will weaken ourselves, the sooner we will die and the more unfulfilled we will be. This is a valuable article and good explanation about the value of organic quality food. The thought that cancer is related to fungi is interesting, for if you imagine the root system of fungi in the soil, it’s an enormous network when left to its own. Cancer in cells of human bodies is pre-programmed by a certain condition that involves physical aspects and psychological aspects and an attitude towards life where one feels a deep despise for being alive and when one can’t feel appreciation for being alive. It’s not about judgment and labeling, sharing this insight, it’s about the sad human condition in our present time where love and the capacity to love onself and others is often absent. This NO to life is a message to the nurturing and health-improving elements, to one’s own inner programmer, creating a signal that will obey to that program. Which is in essence about saying NO to life. Which is a reaction. Life always chooses to serve our inner manual. We don’t learn that in school or in church. Life shows up by providing the result that is wished for. Even when it’s unconscious and denied by the person involved. In essence it’s the negative side of life, which is non-existence. The body begins the process of dying. 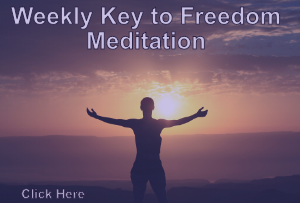 This process offers an opportunity to begin to see this program and it’s why some recover with a restoration of deep appreciation for life, or pass over with the same joy. It doesn’t matter what the outcome is, as long as the connection with life, which is to me an ingredient of love, is restored.